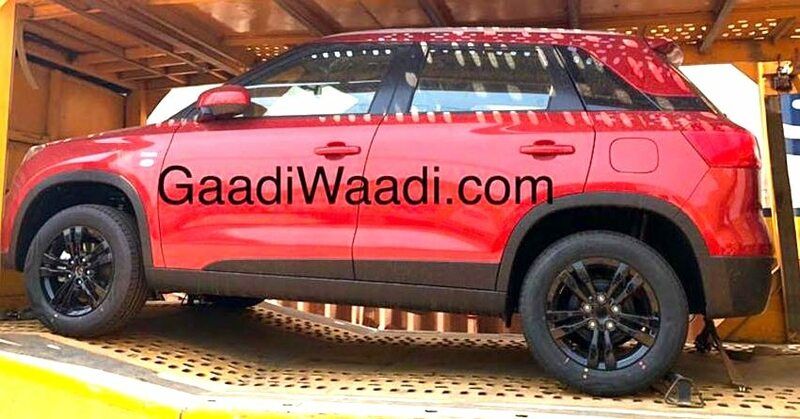 2018 Maruti Vitara Brezza Leaked, Launch Soon – Maruti Suzuki is almost ready with an updated Vitara Brezza for India. The statement is confirmed through this recently spotted image of the car with black alloy wheels. 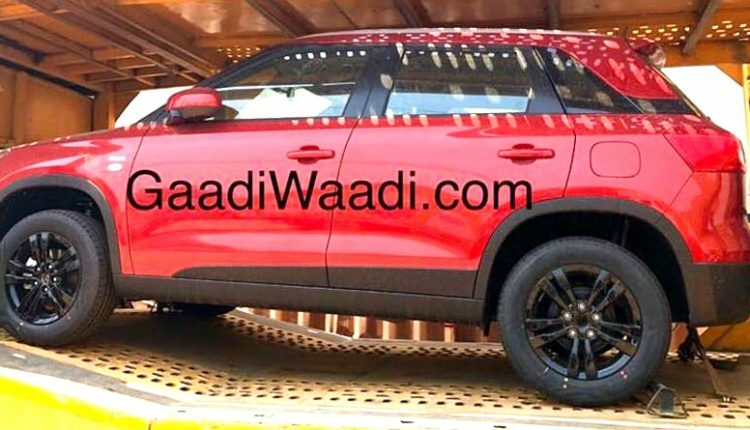 Maruti is expected to bring new shade options for this car while one can also expect standard safety features like dual airbags and ABS on all variants. This will automatically reduce number of variants available to four. As Vitara Brezza serves as most selling compact SUV of India, it requires certain updated to stay within improving competition. Tata Nexon and Ford EcoSport are gaining popularity with their impressive option list. Maruti will now offer reverse parking sensors, chrome front and rear grill, dual airbags and ABS as standard on all variants. Price hike in base variant will place Brezza LDi at INR 7.52 lakh while lowest hike was seen on top spec ZDi+, it will be priced at INR 9.99 lakh. This will help Maruti claim impressively loaded starting point for their compact SUV. Rising fuel cost and reduction in petrol/diesel prices are welcoming drivers who have generally lesser number on their odometer to go for petrol powered cars. Specifically under 4 meter, the tax on manufacturing of petrol and diesel cars also vary by 3%, making petrol cars better priced than their diesel cousins. Those looking for a petrol Vitara Brezza can save around INR 1 lakh in initial days if Maruti soon brings their 1.2L engine into operation in Brezza. More than that, they can also claim their range to start from a much more attractive point. Presently, Maruti Vitara Brezza is powered by a 1.3L, four cylinder diesel engine producing 90 PS and 200 Nm of torque. On the other side, Tata Nexon offers 110PS engine with 260 Nm of massive torque. Nexon even has a powerful 110PS/170Nm petrol engine on offer. All three cars are tagged under most selling UV’s of India from their initial days of launch in India.